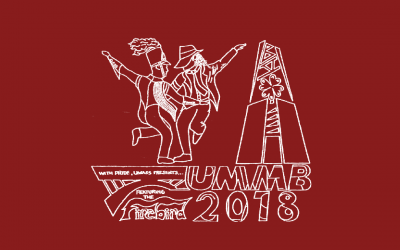 Culminating with Sunday’s Fenway Park pregame remembrance, the UMMB is proud to have been part of efforts to honor last year’s marathon bombing victims and survivors. 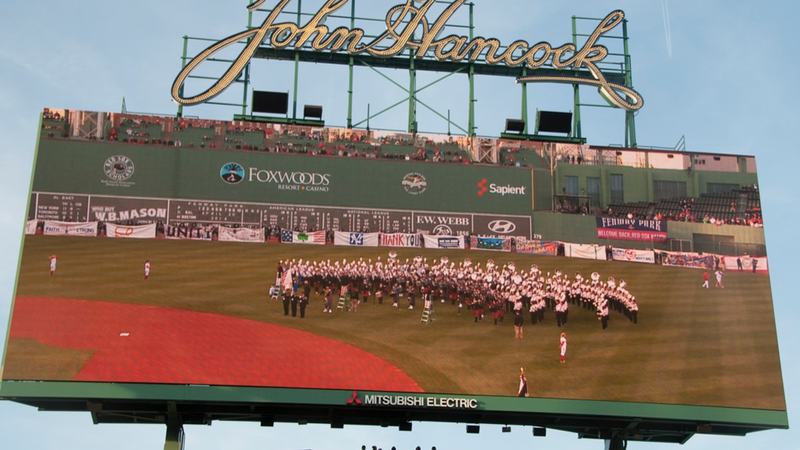 The University of Massachusetts Minuteman Marching Band performed during a pregame remembrance ceremony honoring the victims of the 2013 Boston Marathon bombing prior to the Boston Red Sox game against the Baltimore Orioles on April 20 at Fenway Park. On the eve of the 2014 Marathon, 240 members of the Marching Band, under the direction of Timothy Todd Anderson and Thom Hannum, accompanied 35 bagpipers and traditional Scottish drummers performing the melody “Highland Cathedral.” As they played, prayer canvases bearing messages of support to the city of Boston collected from across the country by the grassroots effort America4Boston lined the outfield warning track. The band also played the national anthem prior to the game’s first pitch. 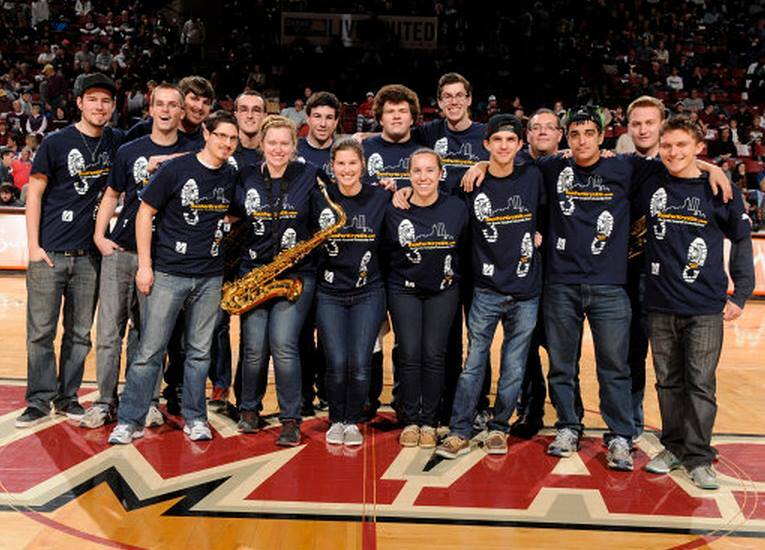 Members of the Hoop Band wore T-shirts promoting the Krystle Campbell Scholarship Fund honoring the UMass Boston student killed in the Boston Marathon bombing, at the men’s basketball game Sunday, March 9. The game was televised on the CBS Sports Network. 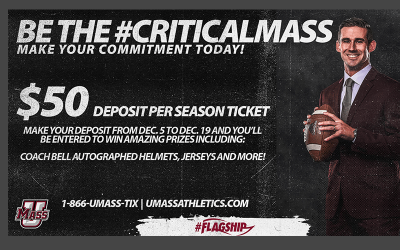 The fund was created by UMass Trustee Richard P. Campbell of Cohasset in memory of Krystle M. Campbell, 29, of Arlington. The two are not related.